Sindh, February 6: Refusing to convert to Islam and refusing to get married to a Muslim boy; the girl had a pay a price..! Price of her life..!! 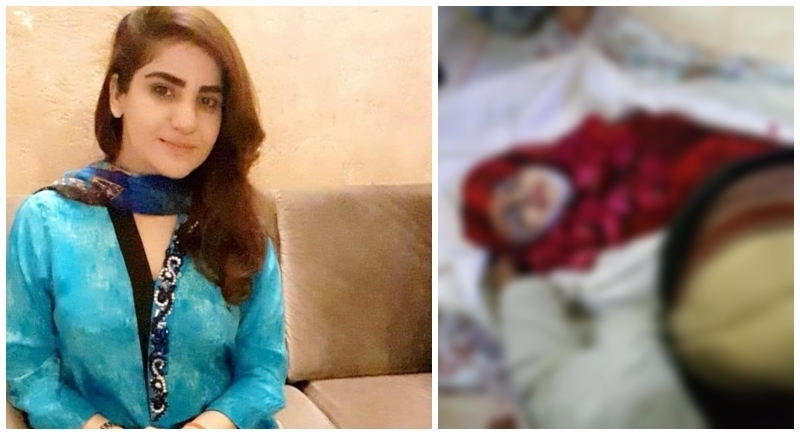 Killed in the quest to stand up for herself and refusing to get married to a Muslim boy, Rajkumari Talreja was killed by Muslim man named Agha Salar in Shikarpur Sindh. Rajkumari Talreja refused to marry and get converted into Islam. Pakistan continues to remain a land of hell for Hindu minorities. Rajkumari Talreja was about to get married to a Hindu boy soon. Infuriated at this refusal, first Agha Salar killed her and then humiliated that a Hindu woman refused him, also killed himself. Agha was stalking Rajkumari for a long time and kept a lookout for her before committing the crime on this fateful day. In Pakistan, to marry a Muslim means is to first embrace Islam and once converted, one cannot convert back to the original faith as it could lead to fatal backlash for the person as well as the community. Important is to note that while Hindu women are routinely married off to the Muslims, the opposite is impossible. Hindu women have been harassed and tortured to a great extend to marry Muslim men. They are abducted and forced to get converted into Islam without their wish. Pakistan has been very cruel and brutal when it comes to forced conversion and enforcing their religion on others. Constituting only 2% of the entire population of Pakistan, the atrocities on these people are way too high. The impotence of Pakistan’s so-called democratic government in the face of fundamentalist dominance also has created menace for the minorities. Forceful marriages, sexual exploitation of girls, a biased government with terrible control on law and order, forceful conversion from Hindu to Islam is something the Hindus have been going through for years and therefore have come down in their homeland, India, in a hope to shower a beaming light on their plight.